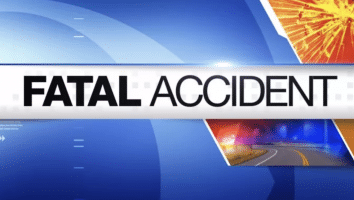 A Watauga County native lost his life after a tractor roll over accident on Wednesday. Multiple Fire/First Responder crews, EMS and law enforcement officials were dispatched to an address on Stone Mountain Road in the Bethel community early Wednesday morning, after a report of a rollover tractor accident. Alfred Claude Ward, age 88, of Stone Mountain Road, Vilas, passed away Wednesday, morning, August 22, 2018 at Watauga Medical Center. Born July 2, 1930 in Watauga County, he was a son of Claude and Maggie Tester Ward. Mr. Ward served in the U.S. Army during the Korean Conflict. He was an active member of Mountain Dale Baptist Church where he served as a Deacon, Sunday school teacher, and Superintendent. Claude retired from Cook & Hodges Construction as a carpenter and cabinet maker. He loved the Lord, his family and his church. His favorite pastime was tinkering with tractors. Mr. Ward is survived by his wife of 65 years, Grace Waters Ward; sons, Ken Ward of Sugar Grove and Paul Ward and wife, Trula, of Butler, TN; sister, Carrie Cornett and husband, Allan, of Zionville; granddaughters, Kellena Chappell of Mountain City, TN., Shelley Ward of Cookeville, TN., and Kelly Garrison and husband, Aaron, of Dudley; and five great grandchildren. He was preceded in death by his daughter-in-law, Linda Ward, sisters, Anna Mae Garr, Sue Presnell, Joy Millsaps Eggers and Lucille Hicks; and his brother, Clint Ward. Funeral services for Alfred Claude Ward will be conducted Saturday afternoon, August 25, 2018, at 2 oclock at Mountain Dale Baptist Church, officiated by Pastor Eric Cornett, Rev. David Ward, and Rev. Greg Thompson. The family will receive friends Saturday from noon until 2 oclock, prior to services, at the church. Graveside services with Military Honors provided by the American Legion Post 130 and DAV Chapter 90, will follow in the Mountain Dale Baptist Church Cemetery.